Perusing through MAC is not always a good idea. I very rarely ever need anything from there but yet most days I find myself finding a product I convince myself I need there and then. This is what happened when I bought Deep Love. 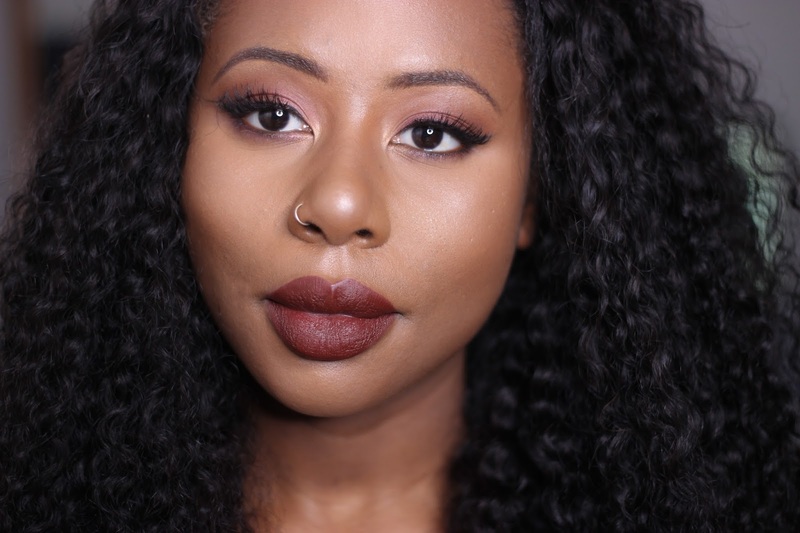 Many of you may know that I currently have a brown lipstick obsession so as soon as I saw Deep Love I had to have it -naturally it was sold out in store so I had to order online from HoF. Deep Love (£15.50) is a matte finish lipstick from the MACnificent Me Fall Collection which means that sadly, this shade is limited edition. 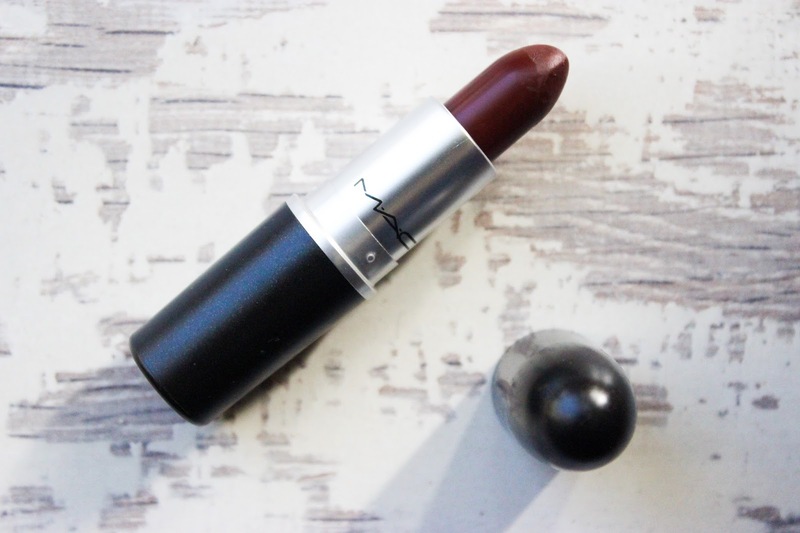 Deep Love is described on the MAC site as deep brown wine and I fully agree – deep love is a rich brown matte shade with red undertones which makes it flattering on all skin tones. The matte finish thank God is forgiving – think more Velvet Teddy/Heroine matte than Ruby Woo matte. I have no idea why MAC refuse to introduce a semi matte finish as essentially this is what it is, the formula is rich, pigmented but not overly drying making it a comfortable and light wear. As this is LE there is possibility that you may not get your hands on it, at current it is out of stock on the UK MAC site but in stock on the MAC US site. Temptalia has listed some dupes on her review page of Deep Love including OCC Anita and Colourpop LAX – I have both and I can see noticeable differences in colour between the three. Anita and LAX both lean more on the red side with brown undertones – LAX being an incredibly rich vampy red whilst Anita is a deep burgundy shade which leans heavily to red. Temptalia also suggests Antique Velvet (permanent) which I do not own but it does look like a very close match, see HERE for her side by side comparison. All in all I’m happy to add Deep Love to my brown lipstick collection – the perfect lipstick for near every occasion for me! Deep Love looks gorgeous on you. There really isn't that much difference between Deep Love and Antique Velvet, I need to add AV to my collection. Thanks love! They look soooo similar yet I want Antique Velvet now!!!! I think Deep Love perfect with your full lips! The fact it isn't too redddish nor too dark makes it really wearable. I like this kind of satin-y finish a lot!!! Exactly! It's right in the middle meaning its also great for everyday wear and comfortable to wear too! Have you got antique velvet. This looks so similar, maybe slightly lighter. I have a brown lipstick obsession too. I have about 8 now. Just ordered Coloured Raine in Suede and Truffle Raine. I'm so excited to receive them! My sister says she can't tell the difference between any of them. Liar! HAHAHAHA! I'll tell you right now they are all different types of brown!! I just ordered this and can't wait to get it next week! It's gorgeous and so comfortable to wear! Love the colour! Did you use a lip liner before applying deep love?